With the holidays upon us, we thought we would throw our two cents into the ring if you are stumped on what to get your design savvy friends and family that they can enjoy and be inspired by for years to come. 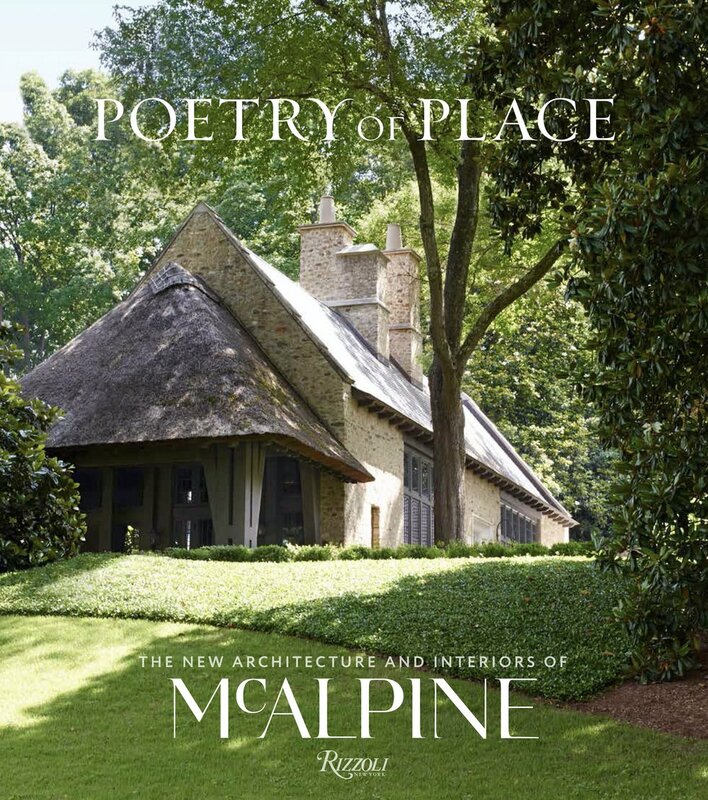 McAlpine design firm tackles both architecture and interior design, making it perfectly suited for a book that encompasses the internal and external features of the home. Poetry of Place covers 20 diverse projects (including a Tuscan-style horse farm and a unique Florida beach house) that showcase the firm’s trademark timeless style with a modern twist, including. For a giftee who wants a focused look at how to transform or elevate certain rooms, we recommend House Beautiful Style Secrets: What Every Room Needs. The bright and colorful photos make it ideal for coffee table browing, but the tome is entirely too useful to stay on display for long. A perfect present for someone who is looking to discover tricks of the trade, this book offers an introductory, intimate, if informal interior design education. With more than 25 years of experience, Victoria Hagan has honed her craft in homes across the country. In Dream Spaces, she shares the secrets of how she incorporates her clients’ personalities and lives in the interiors she designs, how to combine the new and the antique or vintage, and how to integrate beloved and surprising pieces into a soothing, serene, and comfortable home. What happens when Delphine Krakoff (a Paris-trained interior designer) and her husband Reed Krakoff (an American fashion designer) join creative forces to rehabilitate and decorate their own SIX homes? Gorgeous, sophisticated, art-laden interiors, of course! The Krakoffs, who are collectors as well as tastemakers, enlist the helps of A-list clients and friends such as Martha Stewart and Tory Burch to add intriguing commentary. Getting a glimpse into the homes of creative designers, performers, organic farmers, artists and more feels aspirational and inspirational, as if maybe we can discern some of their secrets of greatness (as well as style) by seeing the worlds that they live and work in. The Authentics digs deep, interviewing each subject to better understand how he or she uses a genuine, distinctive voice to create a unique niche as well as beautifully photographing his or her surroundings. We respect your privacy. We do not share your info! © 2016 Sara Hillery LLC.